Pregnant people often like to talk about food. But while a plate of Parmesan-sprinkled pasta can cause a mommy-to-be to break down in happy tears (blame the hormones! ), the idea of going from the bed to the kitchen to make a meal can also seem like a daunting task. But Philadelphia mom, chef and author Tara Mataraza Desmond is here to help with her recently published cookbook for pregnant moms titled "Full Belly: Good Eats for a Healthy Pregnancy." 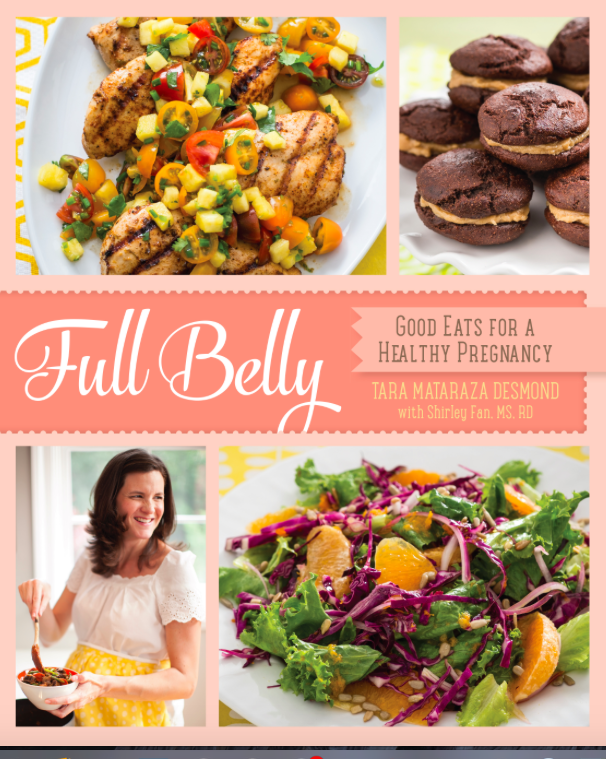 "Full Belly" is chock full of simple and nutritious recipes for mom and baby. Butternut Ragu Lasagna, anyone? "There’s a chapter about how to get something inside you when morning sickness and food aversion strike. There’s information that focus on the vitamins and nutrients most beneficial to you and baby. There’s even a whole chapter of freezer-friendly meals you can make when the nesting instinct hits and you want to prep for the months when a loud, although adorable, distraction will keep you from the stove," writes Melissa Greiner, editor of Philadelphia Family. Greiner reviewed and taste-tested the cookbook.